With more than 200 million users visiting one or more business profiles daily, Instagram offers companies the opportunity to showcase physical products to many engaged followers. And with the right tools, businesses can make those product images shoppable, creating their own visual storefronts on Instagram. 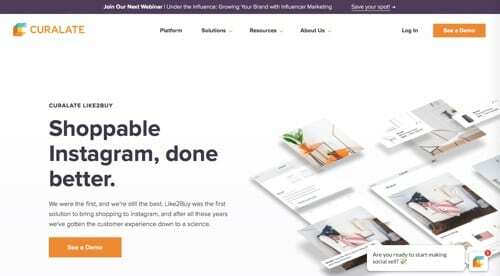 Here’s a list of tools to sell products on Instagram. There are new tools from Instagram to create shoppable posts and stories. There are also third-party tools to create shoppable galleries, sell through comments, monetize influencer posts, and more. There are both free and premium tools. Earlier this year, Instagram launched Shoppable Posts, making it easy to tag and shop products directly from Instagram. To sell goods on Instagram, your Instagram account must be converted into a business profile and connected to a Facebook catalog, created and managed on Business Manager, through Shopify or BigCommerce platforms, or directly on your business’s page on Facebook. Tag products in both new and existing posts from your Instagram business profile. Tag up to five products per single-image post or 20 products per multi-image post. 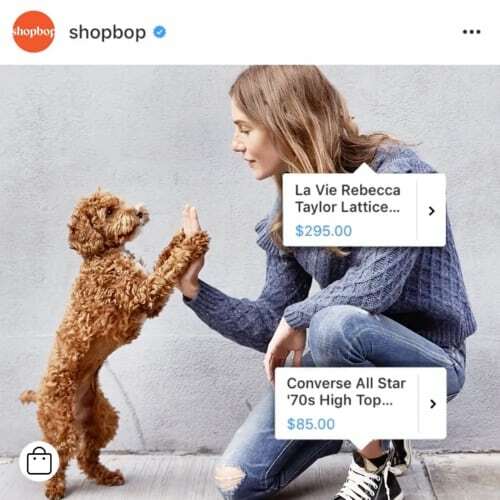 Shoppers can complete purchases without leaving the Instagram app. Instagram has just released shoppable stickers, making it easier for merchants to sell products through Instagram Stories. Similar to shoppable tags for Instagram’s regular feed, businesses can apply stickers to physical products. Stickers can be placed on images and videos. Stickers come in multiple types: shopping bag icon, a sticker with the product name in rainbow or grey, and translucent text. Currently, however, only select brands (e.g., Gap) can use stickers. Stay tuned for a wide release. Like2Buy from Curalate is a tool to make Instagram images shoppable. It does so by generating a link in your bio. When followers click it, they are taken to your Like2Buy gallery to shop for products, read stories, and more. With Like2Buy, schedule posts and Stories, and track campaign performance. Drive traffic and revenue from your Instagram images and videos. Contact for pricing. Shop Social is a tool to help fans find your products in your Instagram photos, to click and buy. Tag multiple products to your posts. 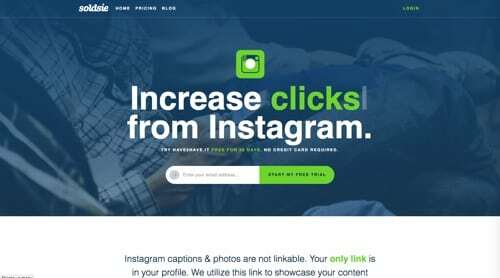 Direct everyone you reach on Instagram to your URL or integrate your Instagram feed to your website. Monitor clicks and performance through the admin panel and integrate Google Analytics. Add a product gallery tab to Facebook as well. Price: $49 per month. With Postcart, turn any Instagram post into a shoppable product, or turn an Instagram feed into a shoppable website. 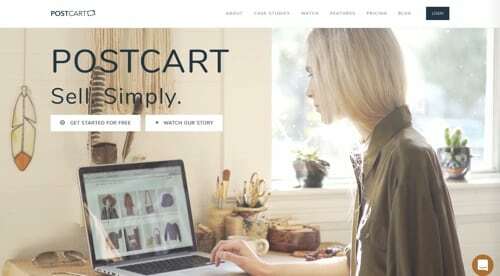 Postcart is an ecommerce platform designed for creatives who make, merchandise, and curate. Use your Instagram post descriptions to automate quantities and product variations such as color or size. Build in real-time shipping rates, and directly print discounted shipping labels. Price: Personal plan is $10 per month; business plan is $20 per month. 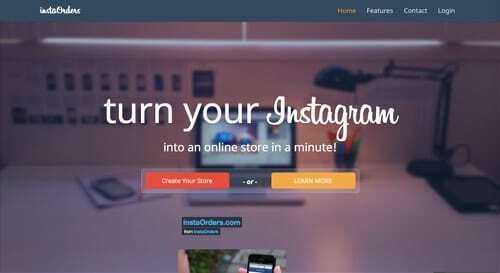 InstaOrders is an easy-to-use tool to quickly turn your Instagram feed into a shoppable store. 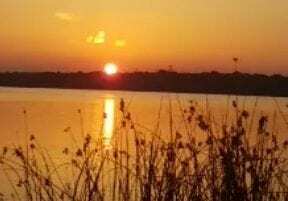 Sign in with your Instagram account to upload your photos. 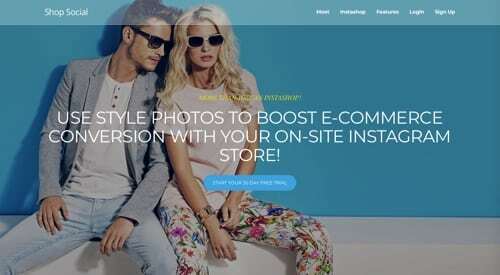 Afterward, your store will be synced with Instagram. Enter pricing of your imported photos and start converting them into items. Share your new store with your followers. InstaOrders emails you every time you get a new order. Price: Free. 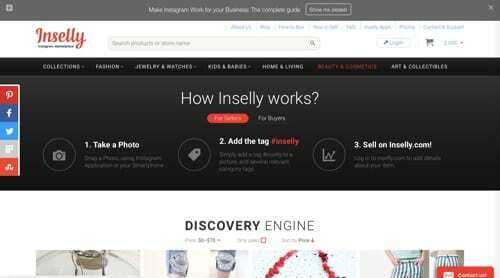 Inselly is a marketplace for Instagram. It brings together all the sales offers from Instagram, making them searchable, sortable, and shoppable. Sellers can easily open their own shop and create shoppable items. Just take a photo using the Instagram app, add an #inselly tag, and log in to Inselly.com to add details about your product. Price: Free. With Soldsie, merchants have two ways to sell to consumers on Instagram. First, merchants can upload photos and descriptions to the Soldsie dashboard, post to Instagram or Facebook, and then followers purchase by typing “sold” in the item’s comments. After leaving the comment, customers are sent an invoice to complete the purchase. Second, similar to Like2Buy, Soldsie offers a shoppable link in a social profile using Have2Have.it, giving fans access to a gallery of products. Soldsie offers integration with Shopify to sell, track inventory, and data. Price: Free for up to 49 clicks per month; $5 for up to 499 clicks per month. 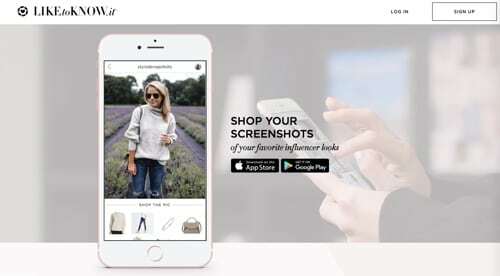 LikeToKnow.it enables brands to create shoppable influencer images for Instagram, Pinterest, Snapchat, and across the mobile web. To publish shoppable LikeToKnow.it content, sellers must become a rewardStyle influencer. Influencers tag products in their images and LikeToKnow.it delivers the shoppable product details to followers via the LikeToKnow.it app. LikeToKnow.it-enabled images contain an icon in the bottom-right corner and a link in the caption. Fans can discover and curate collections of thousands of shoppable influencer images daily. Contact for pricing.